It is that time again - November 1. 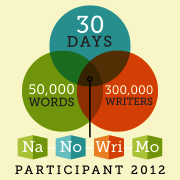 The first day of NaNoWriMo (that would be National Novel Writing Month if you are just tuning in). 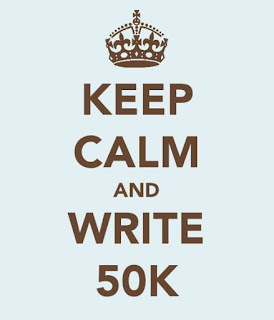 The goal, write a 50,000 word novel in the month of November. About 300,000 writers from around the world participate. I think most of us here at Stellar Four have participated in at least one round of NaNo, be it the November event or the summer's Camp NaNo. I have had mixed success. I did win in 2010, but last year did not come close. I'm in again, though. Glutton for punishment, eternal optimist, whatevs. I have fun and I'll get words on the page. My goal isn't really the 50K, although that would be nice. This year I just want to get into a writing routine that I can carry on through the year. And I want a t-shirt. I've told myself that if I write 30K, I will get myself a new NaNo shirt. I'm not going to rehash all of the Stellar Four NaNo experiences, but I will link to some here. 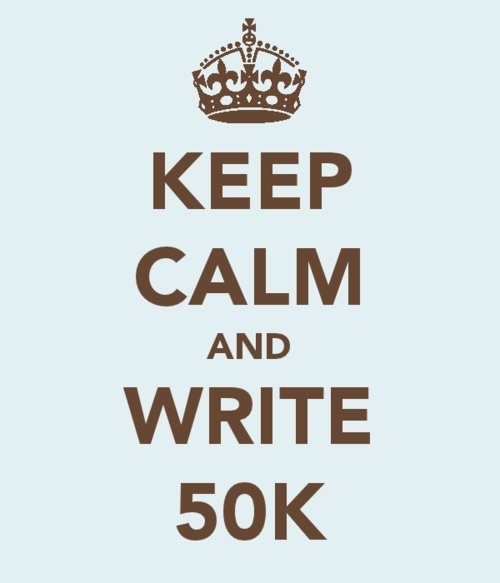 There are tips and links, commiserating over not writing 50K words, all that. Are you going to NaNo? What is your goal?